B2B brands don’t have it easy when trying to attract, engage and persuade today’s increasingly distracted and distrustful buyers. Many are experimenting with influencer marketing but results without an informed plan can be a mixed bag. Trust me, I know. We’ve been experimenting heavily with B2B influencer marketing for over 6 years, partnering with hundreds of B2B influencers and B2B brands of all sizes while also learning a lesson or two. Fast forward to today and we understand that for successful influencer marketing in the B2B world. Relationships are key, right along with shared values and some robust validation when it comes to topical relevance, ability to create and engage on-topic with an interested community. Beyond simply collaborating with expert voices that have an audience in the hopes that the influencer will promote brand messages, successful B2B marketers are seeing value across the entire customer lifecycle. Influencer engagement creates mutual value for both brand and influencer as well as for customers. From building brand trust to helping to humanize a brand, the value of influencer relationships is much broader than most B2B marketers realize. We’ve learned many lessons about working with B2B brands on influencer content programs ranging from Dell to SAP and more than anything, we’ve realized the value of learning through examples. 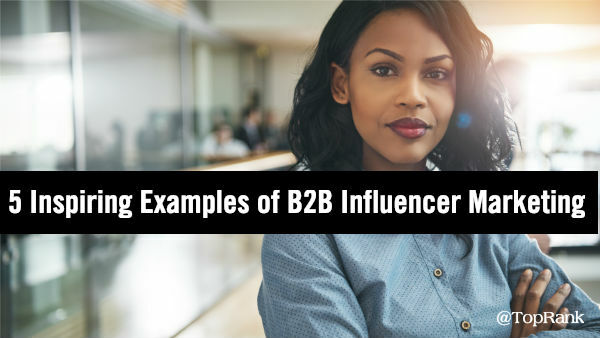 That’s why I’ve put together this collection of 5 B2B influencer marketing program examples from brands that TopRank Marketing is working with to help you visualize ways to make your influencer marketing efforts more impactful and meaningful. 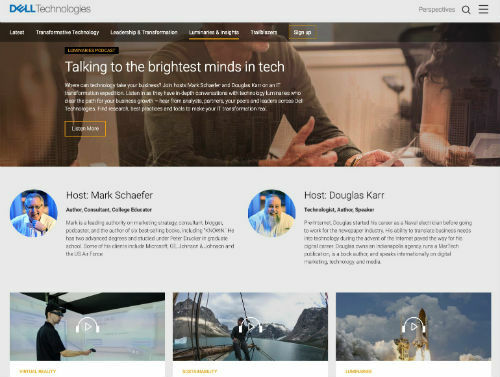 Beyond the podcast, Dell works with influencers like Tamara McCleary, Daniel Newman and Oliver Christie to author blog posts, do interviews on podcasts, attend Dell events and engage in briefings with Dell subject matter experts. What’s inspiring about this program is that Dell has successfully been able to simultaneously develop solid relationships with a core group of influencers for a variety of content collaboration opportunities on an ongoing basis as well as partner with two key industry influencers to highlight internal Dell subject matter experts (internal influencers) from across the different companies that make up Dell Technologies. Dell is effectively benefitting from influencers and creating influencers at the same time – all while creating value for their customers. SAP App Center – The SAP App Center is a hub for 3rd party applications that integrate with SAP solutions. While functional, SAP realized there was an opportunity to better attract and engage an audience looking for applications as solutions by developing more robust, credible content that would be easy to find through search. To make SAP App Center topics of focus become “the best answer” for customers, robust Power Pages including The SAP Guide to Employee Well-Being, The SAP Guide to Employee Experience, and The SAP Guide to Talent Acquisition were created incorporating SEO keyword research, SAP domain expertise and topically relevant influencer contributions. Attraction objectives were reached through improved search visibility on topics that aligned with influencer expertise, social promotion by brand and influencers and link optimization. Engagement objectives were achieved with more robust, “best answer” content optimized for credibility with influencer experts and optimized link placement from the Power Pages to solutions content. What’s inspiring about this program is the effort to understand demand from the buying audience through keyword research which helped inform both relevant content creation and influencer engagement. Influencers added credibility and amplification as well as SEO relevance to content intended to deliver answers for customers that were actively looking – thereby attracting and engaging an audience that is further along in the sales journey. 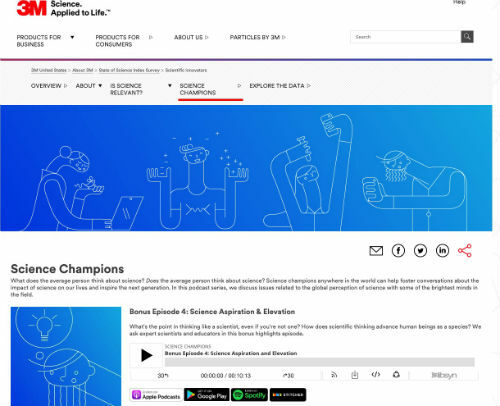 3M Science Champions – With the objective of making science accessible to the everyday person, 3M launched the State of Science Index research report in connection with the Science Champions podcast hosted by 3M Chief Science Advocate, Jayshree Seth. As one of 3M’s first podcast series, the first season featured 21 science experts/influencers discussing a variety of science-related topics ranging from an introduction to science to science in everyday life to careers in science. The number of listens/downloads per episode far exceeded expectations and the podcast will return with season 2 in 2019. What’s inspiring about this program is that 3M was able to take a data-rich research report and humanize topics by connecting them to real people with expertise in the field. By featuring an internal influencer as the host, 3M was able to facilitate natural discussions around the topic of science in a way that achieves the objective of making science accessible to non-scientists while also honoring 3M brand expertise. Publishing through a conversation in podcast format also effectively supported distribution and engagement goals. 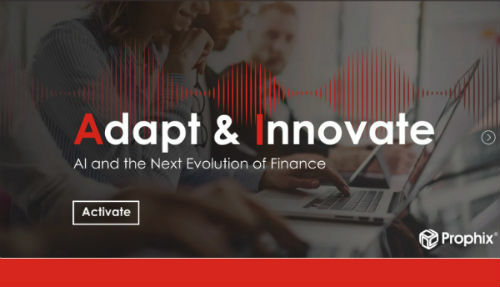 Prophix: AI & the Next Evolution of Finance – As a provider of Corporate Performance Management software, Prophix wanted to empower their customer audience, finance leaders, with insights on future technologies like Artificial intelligence affecting their industry. Prophix went beyond engaging with influencers to co-create useful content on the desired topic. An interactive microsite was created using a common application of AI, a simulated voice assistant. In the spirit of Siri and Alexa, this voice assistant named Penny served as host to expertise from a group of influencers in AI and machine learning as well as the office of finance. Experts including Oliver Christie and Christoper Penn provided insight on how to plan for industry changes and embrace AI with an opportunity to further explore the topic with a worksheet download: The CFOs guide to AI and Machine Learning in Finance. The combination of interactive experience, voice and text content, relevant finance and AI influencers plus brand thought leadership resulted in a record-setting engagement. What’s inspiring about this program is that Prophix was willing to create a relevant and credible interactive content experience that was not only new to their marketing mix but new to their industry. The microsite featuring top industry influencers and Penny, the simulated voice assistant, continues to attract and engage customers plus the Prophix Sales team is using the microsite as a tool for engaging with prospective customers. Oracle Dyn – Known for world-class managed DNS services, Oracle Dyn wanted to create awareness and authority for their Web Application Security solutions focused on bot management and mitigation services. To create awareness and credibility for this new cybersecurity capability, internal subject matter experts and relevant industry influencers including Eric Vanderburg and Kevin L. Jackson with authority in the cybersecurity space were engaged to collaborate on The Cybersecurity Intelligence Report: Bot Management and Mitigation. In addition to adding credibility to the campaign content and Oracle Dyn brand, influencer shares were combined with a comprehensive promotional strategy to help Oracle Dyn’s bot management and mitigation services expertise reach the desired audiences. In the first 60 days, program goals were exceeded substantially. What’s inspiring about this program is that Oracle Dyn was able to reach credibility and reach objectives on a topic they were not known for, bot management and mitigation services, by combining their internal subject matter experts with relevant industry influencers. The relevance of this connection was so great that 100% of engaged influencers helped promote the report. Whether you’re a CMO thinking about how to grow brand trust and authority in the marketplace, a marketing director seeking a way to break free of boring B2B with an interactive microsite featuring influencers like Prophix or a VP of PR wanting to implement a thought leadership podcast like 3M and Dell have done, it’s clear that an influencer content program can be a powerful force in your B2B marketing mix.